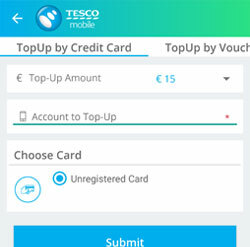 Topping up with Tesco mobile is simple, easy and uncomplicated. You can choose from any of the options below. It is simple to Top up online immediately using your Debit/Credit card. 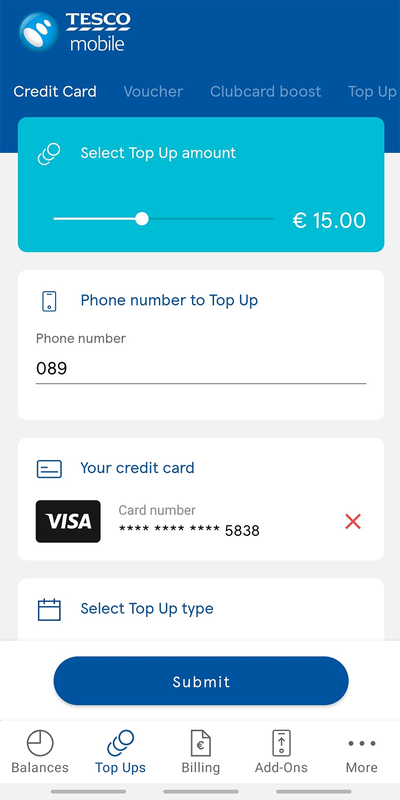 Use the app to Top up immediately. Buy a voucher in a Tesco Store and retail outlets that have payzone, postpoint and Omivend. 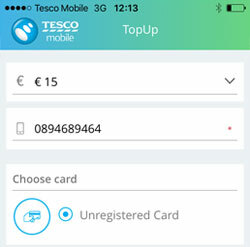 Register your card on My Tesco Mobile or via customer care to top up online, by text or via the sim menu. Top up with Clubcard Boost, by converting your vouchers. AIB customers can top using their online banking service.